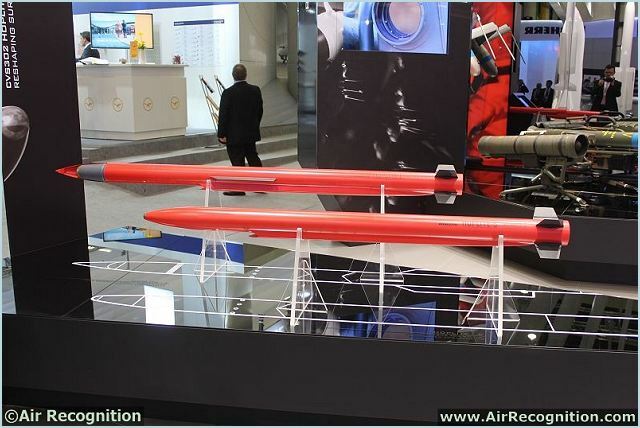 MBDA unveils at Paris Air Show 2013 CVS302 HOPLITE Indirect Precision Attack Missile. At the Paris Air Show 2013, MBDA is unveiling CVS302 HOPLITE that is designed to supply an Indirect Precision Attack capability for land and naval artillery in 2035 and beyond. This represents the fourth and latest of MBDA’s annual Concept Visions projects, demonstrating once again the company’s position as a thought leader in envisaging how innovation in missile systems could dominate the future battlefield. The HOPLITE system consists of a mission control system, and two missile variants, HOPLITE-S and HOPLITE- L both of which can fly 70km in under two minutes at low altitude or up to 160km at high altitude in under four minutes when the way is clear. The system is able to quickly and safely traverse contested airspaces, and closely coordinate salvo firings to provide an exceptional fire support capability to the front line. HOPLITE’s one shot one kill precision simplifies operations while reducing collateral damage risk and mission cost. HOPLITE offers a true step change in indirect precision effects at range for 2035 and beyond. HOPLITE’s mission control guides the operator who maintains executive control. Planning times are vastly reduced by automating the trajectory planning and collateral damage risk modelling. Optimised mission solutions differing in priorities such as time to target or survivability are provided to the commanding officer. These features enable firings that would otherwise be impossible, while removing the need to clear an air corridor and reducing the risk of exposing the launch position. All processing takes place on a tablet sized computer that is generally located with the artillery or warship’s command and control but it can also be with a single launcher. By being platform agnostic the system will adapt to a wide range of operational needs. HOPLITE-S is a 3.2m long, 120kg ‘utility’ missile for simple, supported engagements. It has a versatile spot-scanning ladar seeker that also provides SAL detection among other functions. As the missile is either 3rd party designated or attacks on coordinates, its ladar is used for aim-point refinement. The one-way datalink (receiver) allows mission updates and retasking. HOPLITE-S can be used in more complex scenarios with targeting assistance from HOPLITE-L.
HOPLITE-L is a 3.75m, 135kg missile designed for complex, isolated engagements that require an operator in the loop (OITL) capability. Its multi-mode seeker allows passive and active 3D imaging, and is robust to adverse weather, heavily cluttered scenes and countermeasures. The missile can decelerate to subsonic speeds to provide time for OITL targeting over its two-way datalink. This, and its ladar channel, can be used to direct HOPLITE-S onto targets in coordinated salvo attacks resulting in a high-value increase in capability compared to current systems. Certain innovative technologies allow such high performances. Both missiles use an air turbo rocket (ATR) propulsion system, with its integrated boost motor, to cruise at over Mach 2. The ATR offers the benefits of solid rocket motors and gas turbines, as well as allowing the large accelerations and decelerations required by the missiles. A Boosted Kinetic Energy Penetrator warhead enables HOPLITE-L to defeat all of its targets from any flight velocity. Lastly, the spot-scanning ladar is used by both missiles for 3D imaging, target identification, SAL reception, fuzing and as an altimeter. For HOPLITE, MBDA's European workforce was challenged to suggest concepts and technologies for weapon systems that could give future surface forces the organic capability of delivering precision effects at range. Following assessment by an international panel within MBDA, the winning concepts and technologies became the subject of intense workshops, utilising not only the technical expertise inside the company, but also reaching out to the end-user community.